Hours: Tues to Thurs. 10 to 5 / Fri. & Sat. 10 to 3. Closed Sun & Mon. 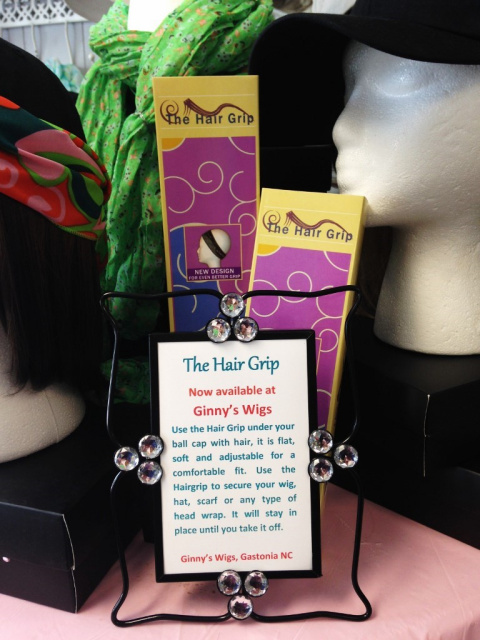 The Hair Grip, now available at Ginny's Wigs in Gastonia, is a soft, flat comfortable band that is adjustible. 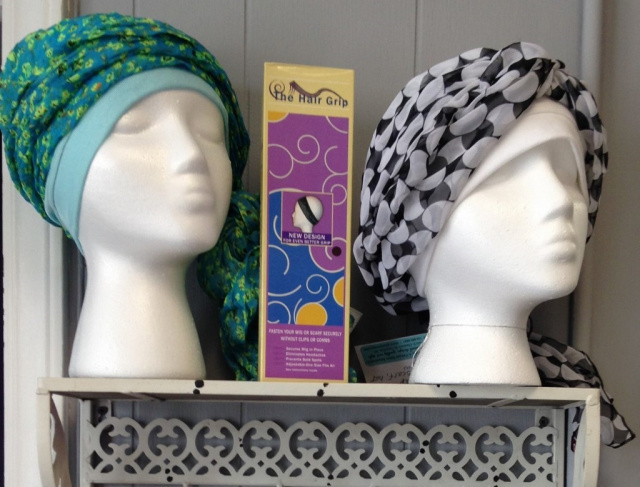 It is worn under wigs, head wraps, scarves, hats or any type of headwear to prevent slipping. It is useful as an accessory, and also worn by those who have hair loss as it is comfortable, and does not slide offthe scalp. It helps wigs and headwear to feel secure, without feeling tight. 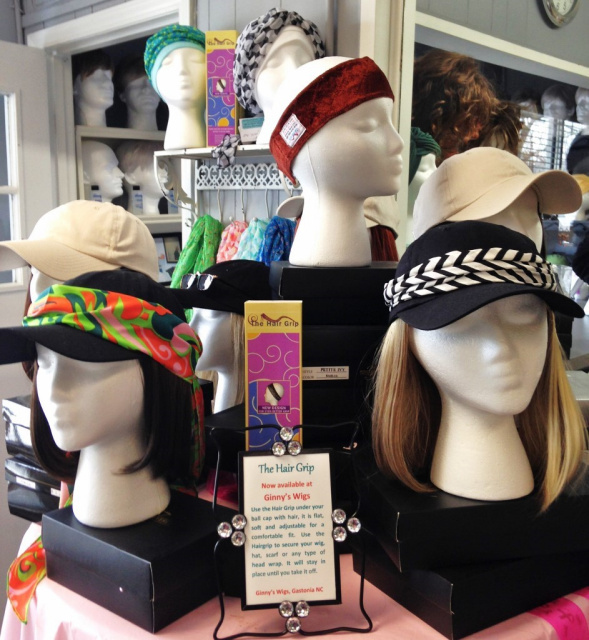 This is a must have accessory, and is now available for purchase at Ginny's Wigs in Gastonia, NC. Wigs are a personal item and cannot be returned. We want our clients to know any wig they purchase has not been previously worn or exchanged. Below is some helpful information for wig styles and cap construction. The Estetica Wig Classique Collection has a Pure Stretch Cap. The Estetica Wig Naturalle Collection has a Front Lace Line. The High Society Collection of Mono Wigs have a natural looking scalp. Please call ahead to confirm our Saturday hours, especially if you are driving a long distance. Occasionaly we are closed for vacation, a holiday weekend, weather conditions, or unexpected circumstances. Thank You. Facts to consider when shopping online for a wig. Ginny's Wigs has moved next door to the original location.! Ginny's Wigs is now located in the former Snipes Shoes Repair building, beside Ginny's Beauty Salon. The new address is 610 1/2 S. Chestnut St.
During our normal business hours, please arrive at least one hour prior to closing so we have sufficient time to assist you with your wig selection. Please arrive by 4:00 Tues to Thurs, and arrive by 2:00 on Friday and Saturday. If you are uncertain, please call ahead as we may close early.